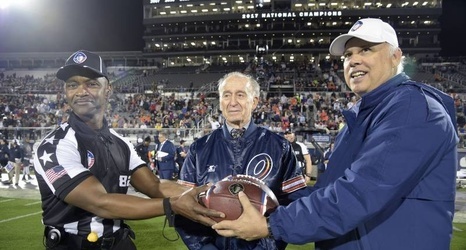 The first night of the Alliance of American Football drew promising ratings for CBS, averaging 2.9 million viewers from 9 to 11 p.m. ET. As SportsTVRatings noted, the AAF outdrew ABC's NBA game between the Oklahoma City Thunder and Houston Rockets (2.5 million). CBS broadcast the inaugural AAF games beginning at 8 p.m. ET. The Orlando Apollos earned a 40-6 win over the Atlanta Legends, while the San Antonio Commanders triumphed 15-6 over the San Diego Fleet.